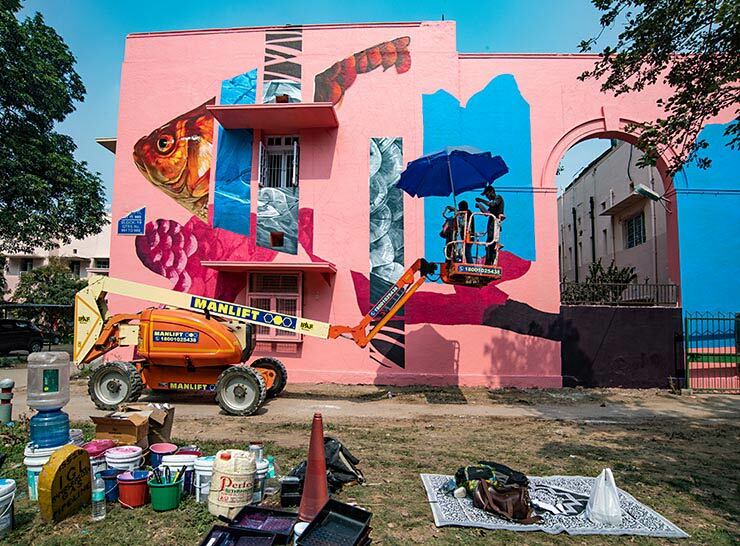 St+Art Delhi continues apace with an ever-expanding roster of artists and financial/commercial/municipal partners five years after we first began writing about it, and photographer Martha Cooper brings us today some of the newest installations and shots that she recently discovered while there. 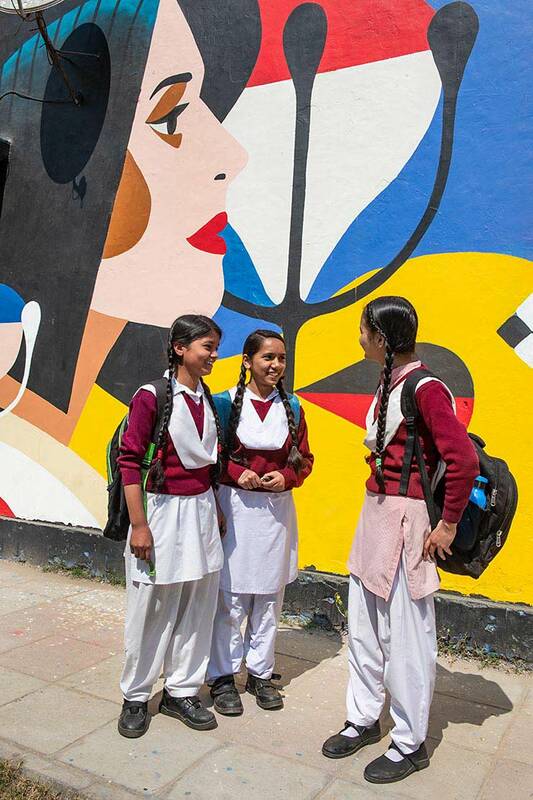 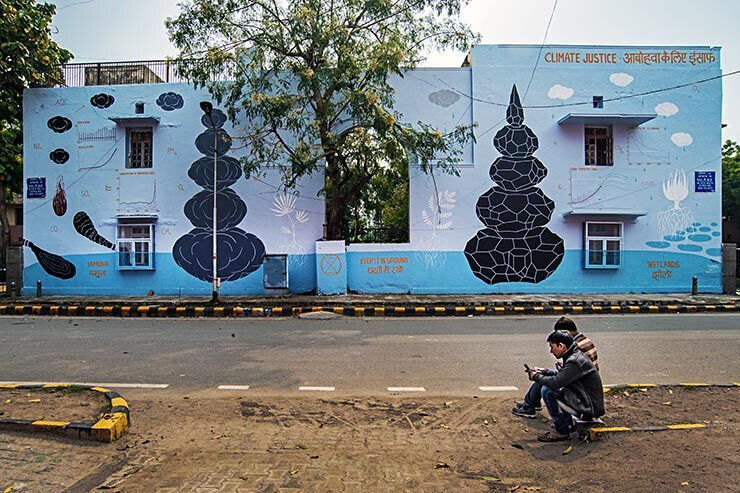 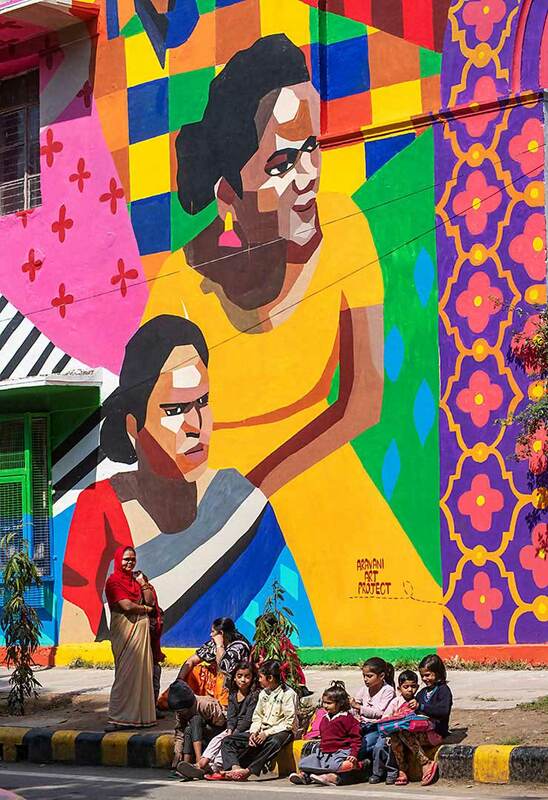 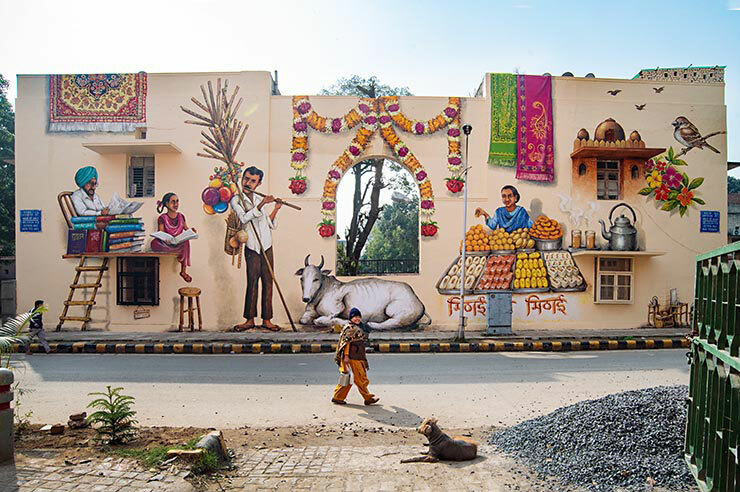 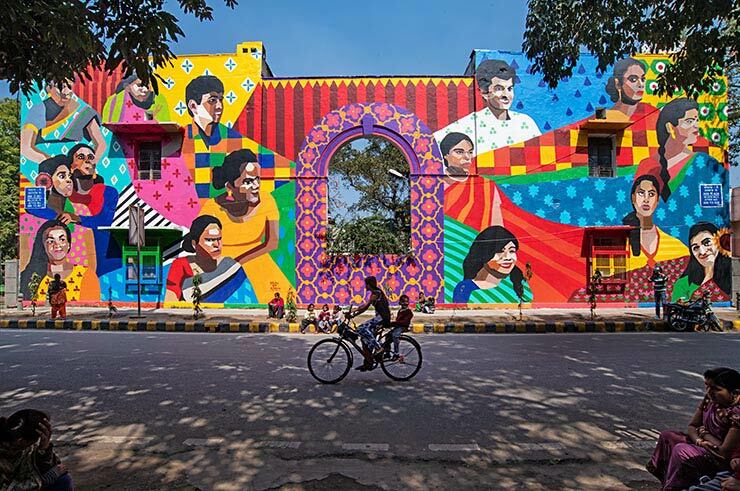 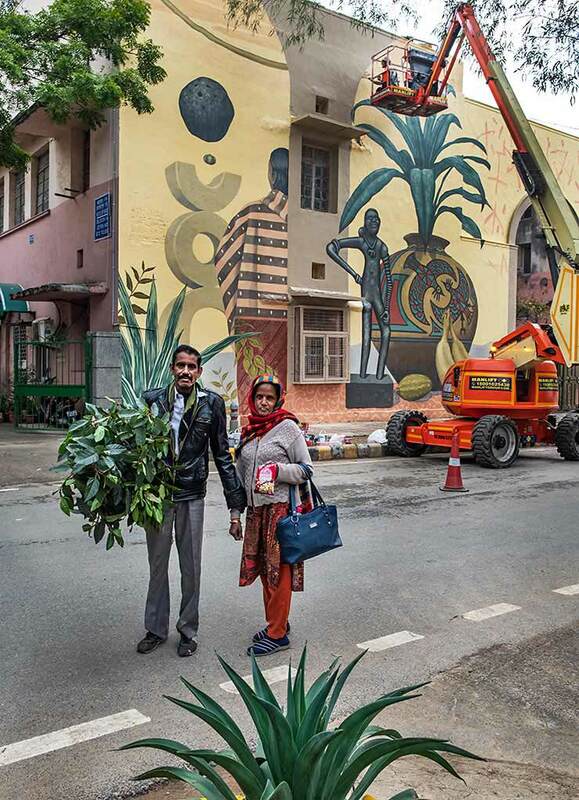 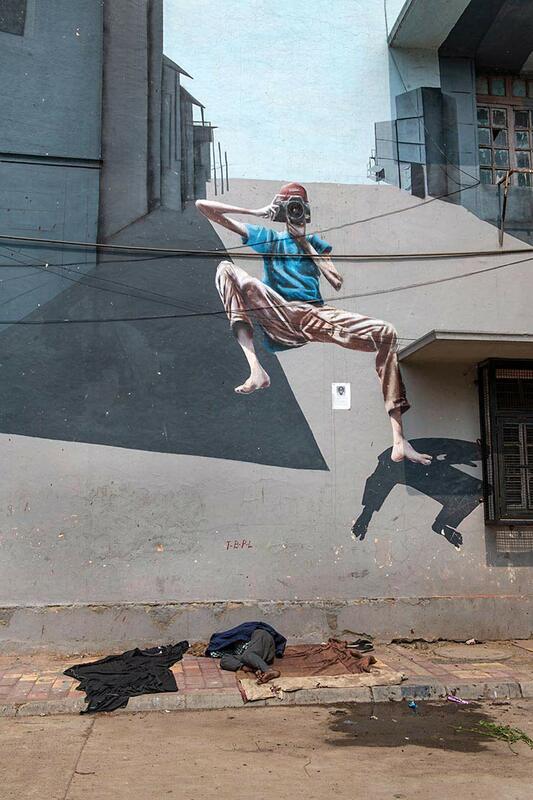 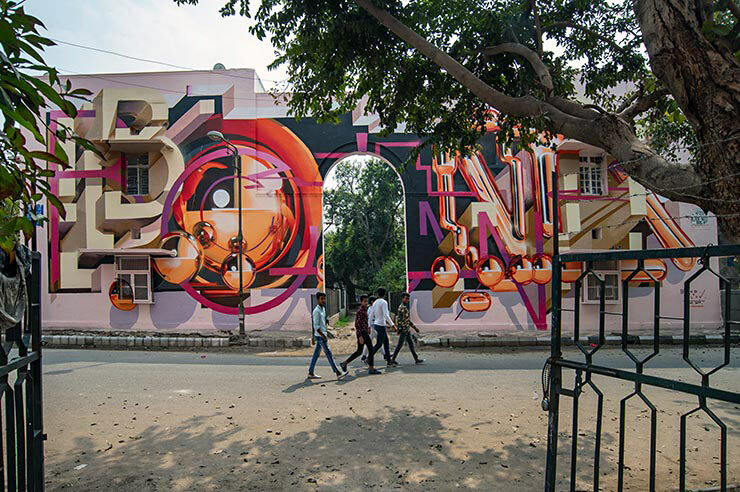 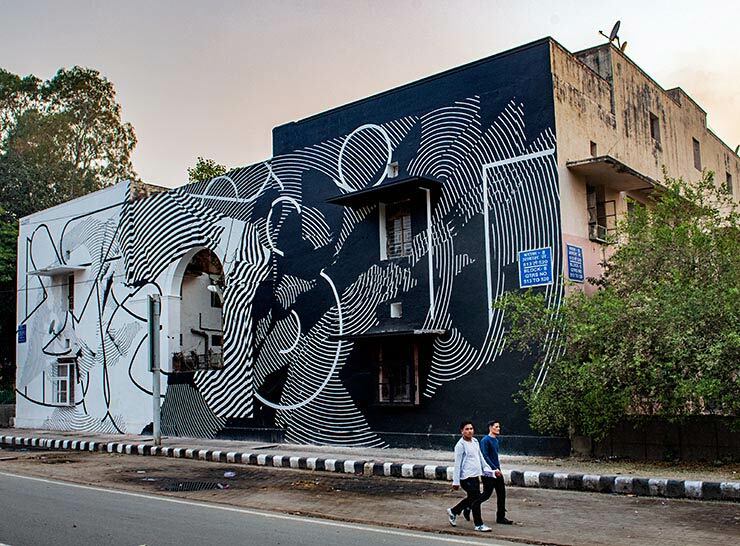 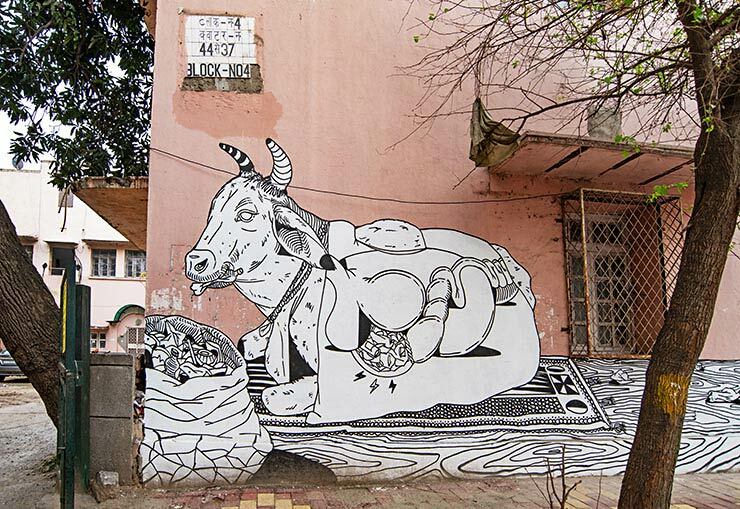 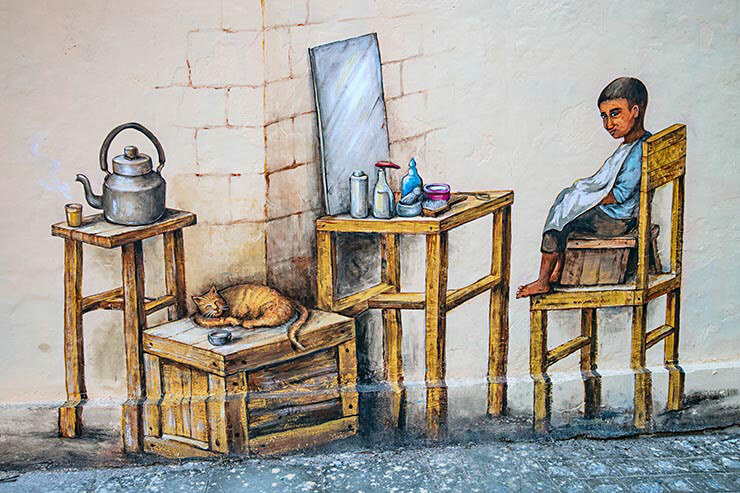 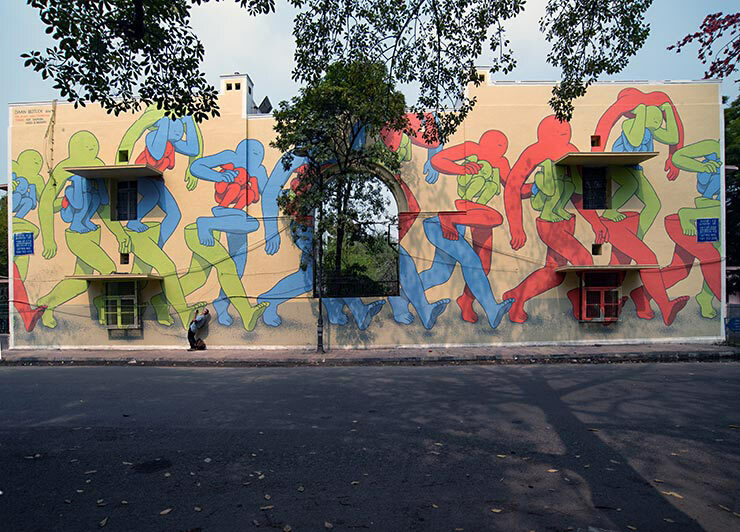 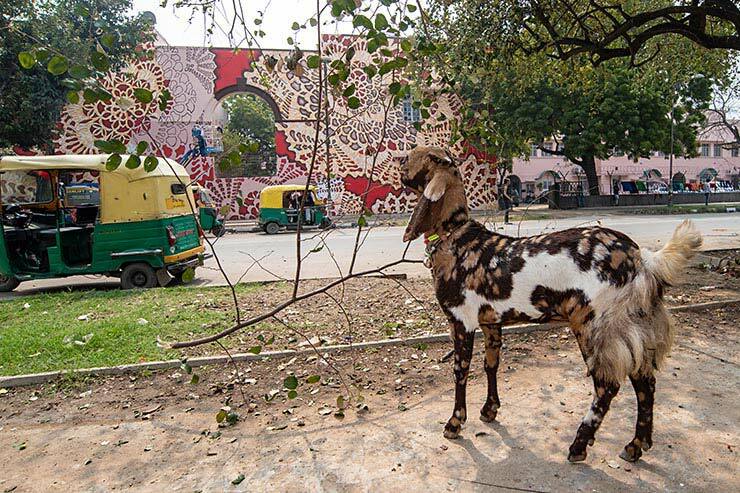 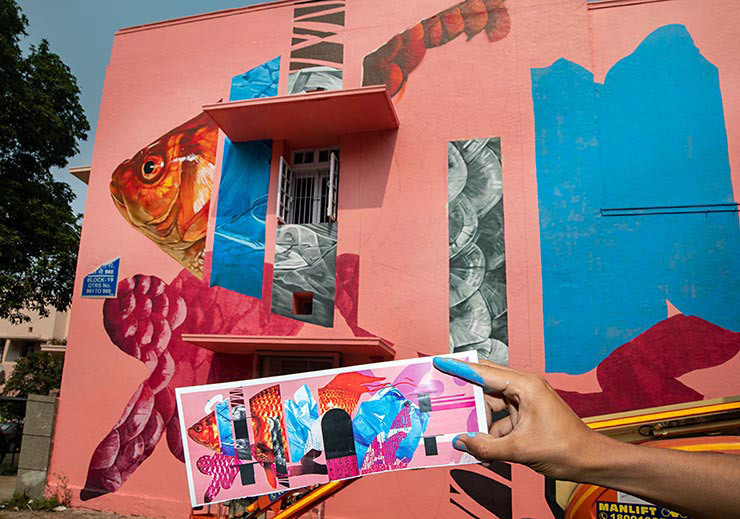 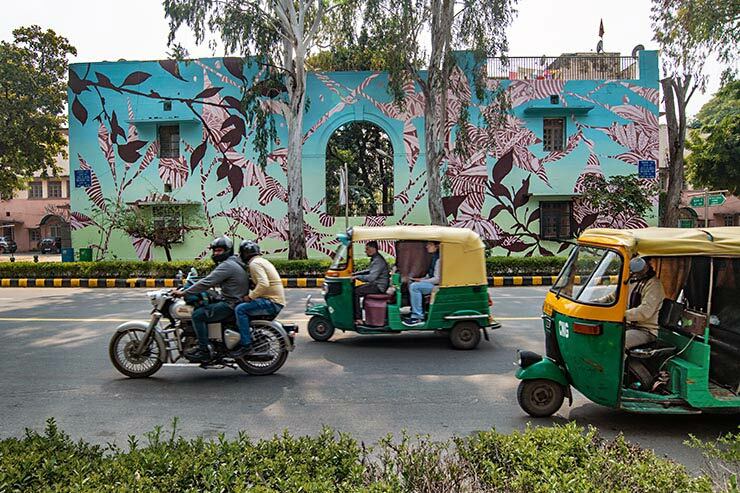 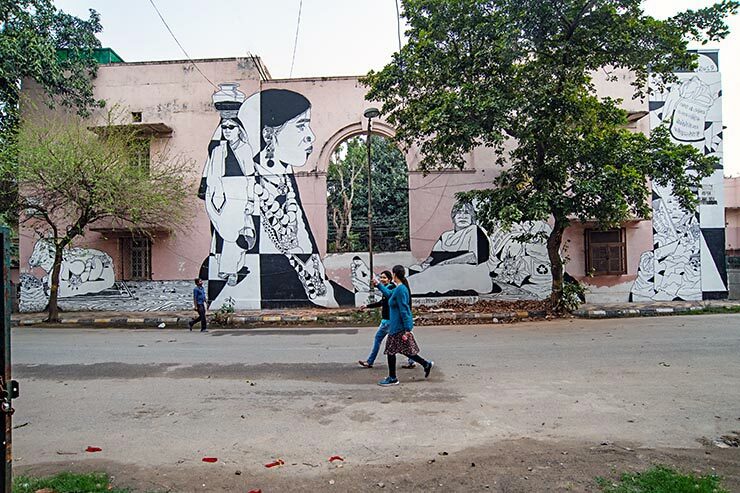 A mural program at heart, many of the artists invited here bring a decorative character to the districts of Shahpurjat, Khirki Village and Hauz Khas Village also have roots in illegal graffiti and Street Art back home, and during their youth. 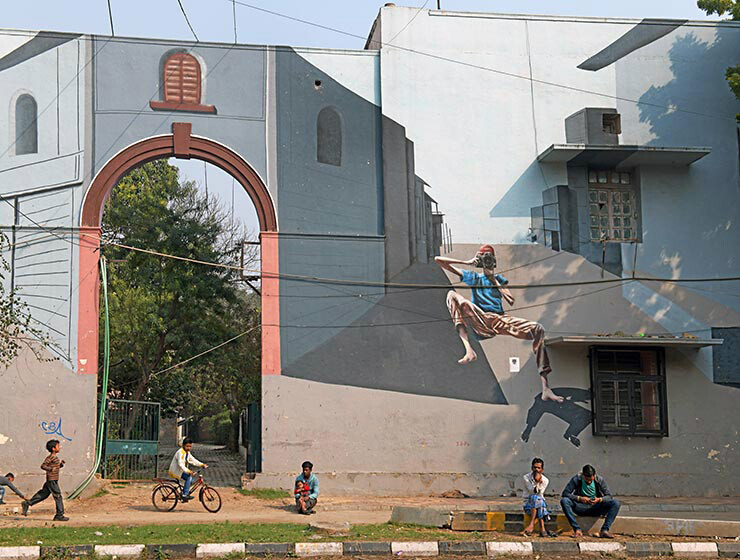 Notable here is the architectural framing convention for most of these murals- the distinctive facades of Lodhi Colony architecture that features a central archway and four windows divided by it on a semi-ornate face forward. 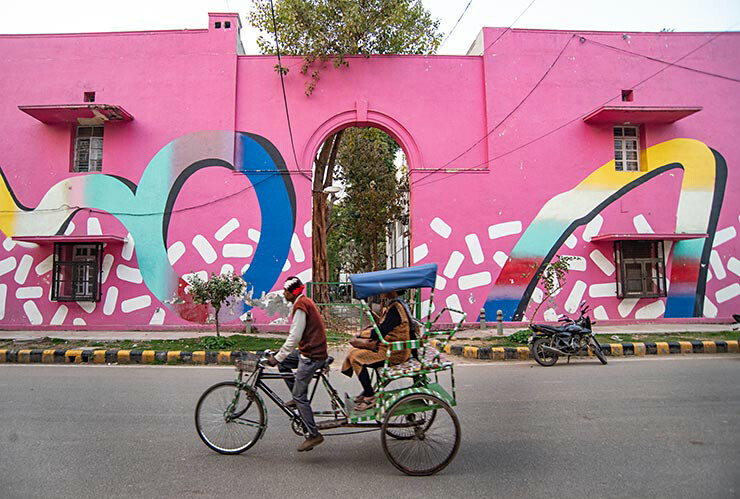 Some of the arches begin on the ground while others have been bricked into windows. 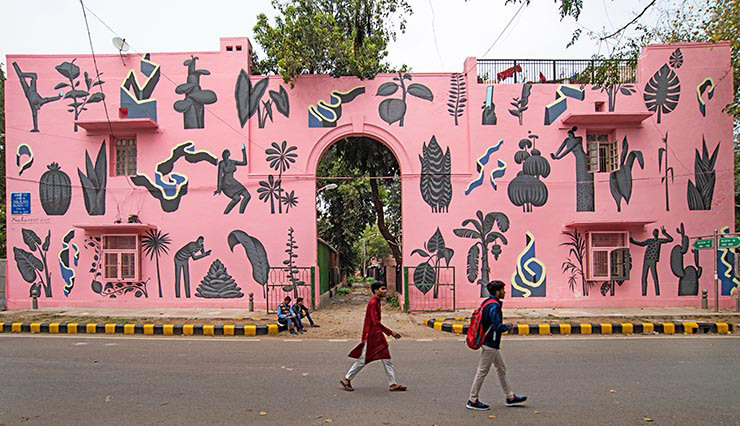 Each provides a view inside the entry or courtyard, while others are bursting out with limbs and trees that protrude through them to the street. 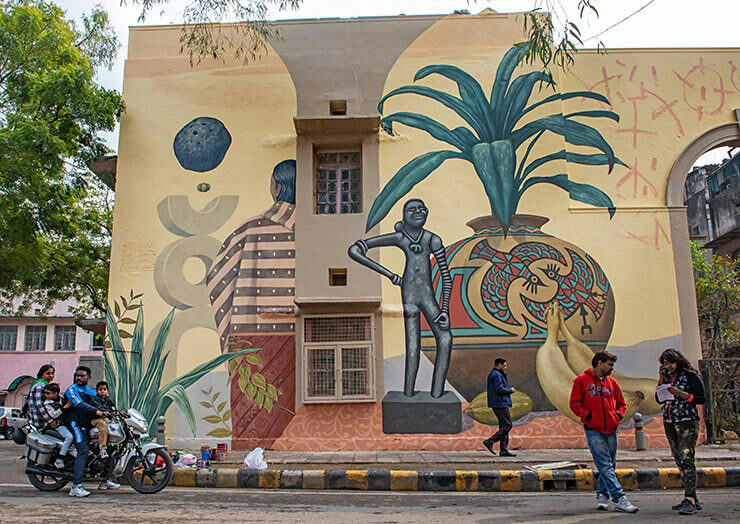 Originally designed by the British-born architect William Henry Medd in the late 1930s and early 1940s as part of a program to house certain populations, this unifying pattern sets the quiet neighborhood apart from others in the city. 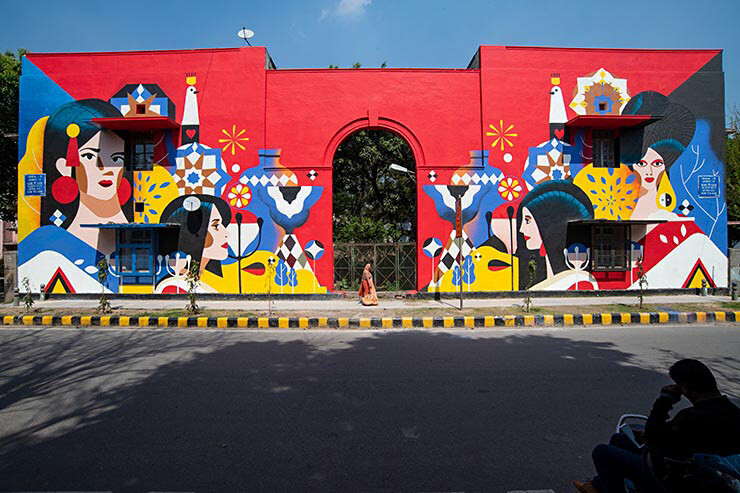 As Chief Architect to the Government of India during that period, Mr. Medd oversaw much of the design of the relatively new city as well as buildings like the Cathedral Church of the Redemption and Sacred Heart Cathedral, both of which reflect his affinity for the high arches that distinguish the period. 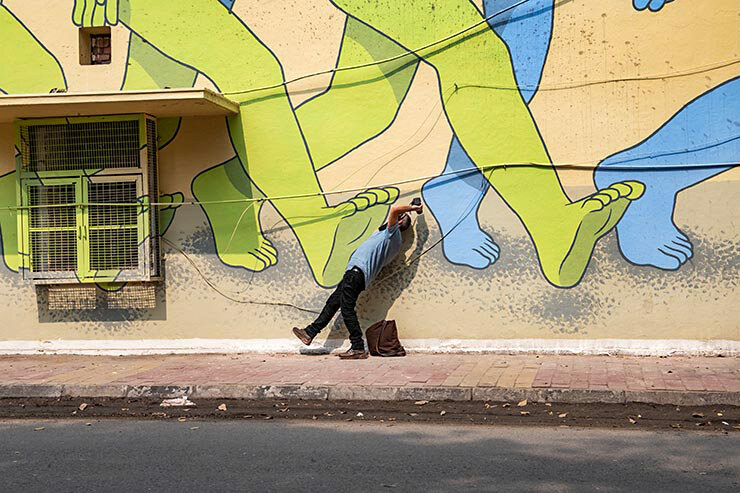 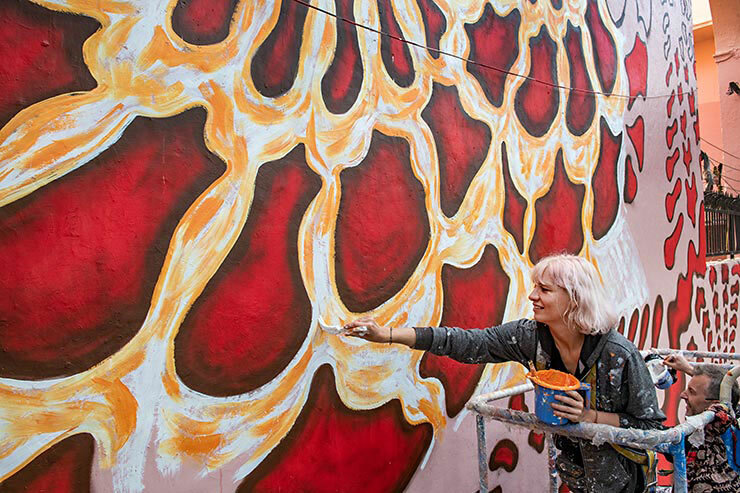 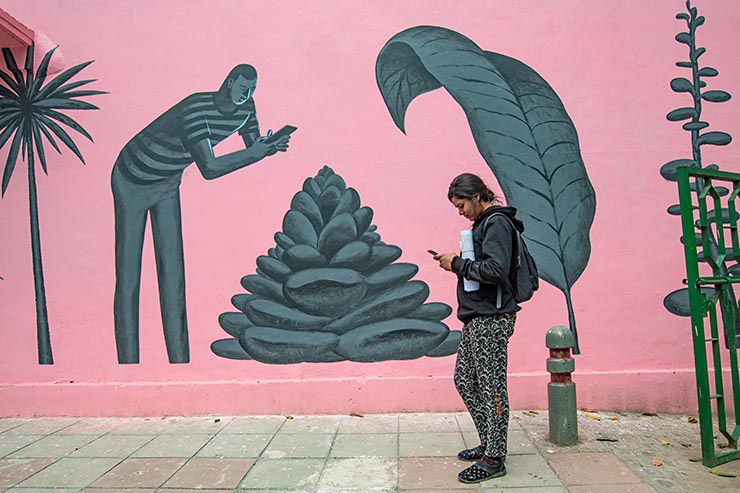 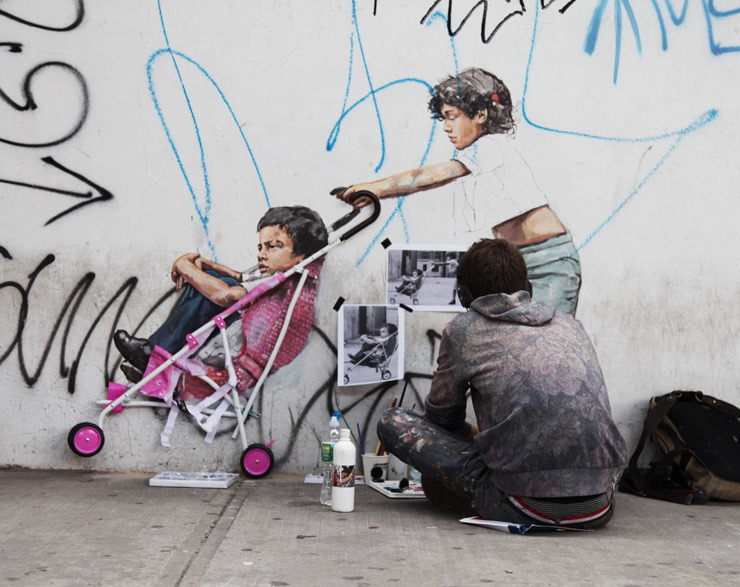 As is her practice many of these images also skillfully incorporate the foot traffic and community who live here and who are beginning to associate these figurative, abstract and folk-inspired murals into their daily lives. 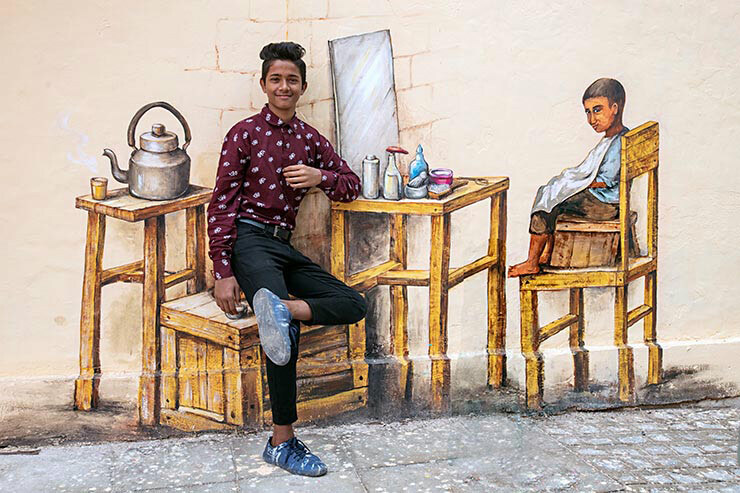 Asking people to pose in front of the new paintings gives them context, somehow also bringing them alive in certain cases. 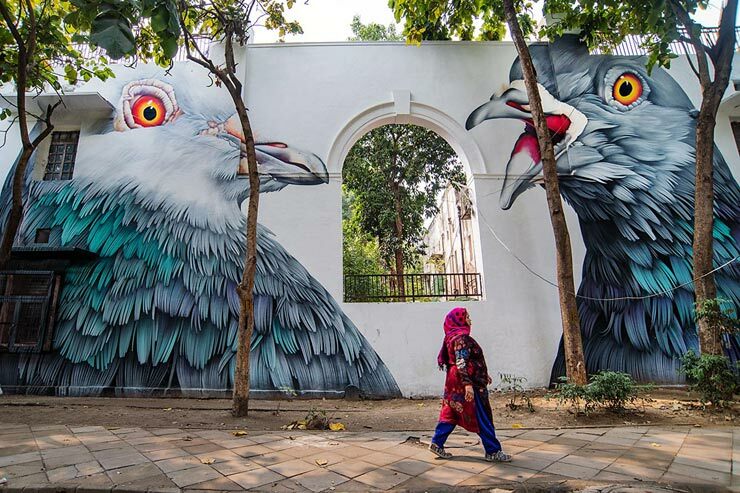 At other times, her timing and eagle eye capture the passerby who unknowingly creates a serendipitous counterpoint to the new work.